Yes, I know, I know… I’ve already posted my totally brilliant interview with JC Lara here. I posted it as a separate page rather than a proper blog post (Silly me!) So here I am trying to make things right again. Plus, I don’t even feel bad about posting this interview twice. My dad is a hardworking self-published author who genuinely deserves all the advertising he can get! My father used to own a small printing office (typography style) in which he was the editor. Watching him reading and correcting texts that would soon be printed made me realize the power of the written word. He was such an inspiration to me. But that dream of becoming an author had to be postponed for almost 50 years. I should also mention my P5 (4th grade in America) teacher who encouraged me to write every time she read my stories. She was that type of person who always helped the student to see the best in every situation. In High School, I wrote a comedy script for a play, which kept my mind somewhat busy while I didn’t feel quite ready to see myself as a writer yet. Everything seemed to be quiet in terms of writing until the day a friend of mine asked me to write a chapter for his book “Turning the Tables on Missions”, and I thought to myself, why not? After a few weeks I wrote that chapter and after a few months the book was published. It was then that I realized that I could write and that my words could actually be published. I started reading at the age of seven and throughout my childhood it was a Brazilian writer, Monteiro Lobato, who captured my imagination. The characters were children who lived their adventures in a small farm in the picturesque countryside of the same part of Brazil I was born in. I simply devoured the 17 books in the series that my parents kept in a huge bookshelf in our living-room. Reaching my teenage years, I began to read about mysteries, history and science. Jules Verne was one of my favourites. The stories I read were and will always be considered classics in young adult literature. There were of course many other books and authors who helped in the process of building the person I am today, but I will not make this interview an endless list for you. Not very long ago I realized that I could communicate to a large audience through the written pages of a book. I knew I had loads of things I would like to pass on to people so I took the first step to start writing. 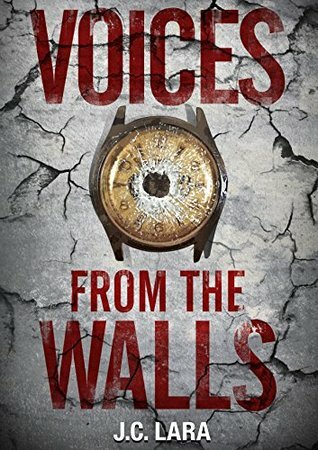 Voices from the Walls is a Historical Fiction book, so it took me a great amount of time to do research. I would say that from the day I decided to write the book to when it was published on Amazon, it took about two years. There were at least eight versions of the story that were proofread, and then after all those more obvious changes I had to made, I finally sent it to my editor so he could correct some of the historical and cultural facts that occurred in the first versions of the book. In the last stages, I was so critical of my own work that I could not read it without finding a minuscule mistake and it annoyed me very much. Finally, after two years of hard work I sent it to be published. Can you share a story about someone you met while researching for this book? When I was about to finish my manuscript I was invited to a religious ceremony followed by a supper with some members of the Jewish community in Dublin, where as we were enjoying some finger food I was approached by an elderly man who did not know I was a writer and he told me his life story. I was amazed to learn that he was one of the children who had left Germany, was taken to Holland and later to Britain in one of those so called “Kinder Transport”. He could possibly be in the same train wagon that Alec, the main character of my book. I was humbled and astonished to see that man in front of me with a similar story to the one I was writing about. When I was a young boy in the small town of Salto, in the countryside of Brazil, my mother was a hairstylist and she had a beauty salon in the front room of our house. Every Friday a frail old lady used to come to the salon to do her nails and hair, and she always told me her stories on how she survived the concentration camp in Germany during World War 2. That lady definitely made an impression on me, which later I used on the context of my book. But the main character is a mixture of different people I met in my life’s journey and a little bit of myself I guess. I realized that there is so much prejudice and so little understanding and acceptance, even among people around me. Although the research took a lot of hard work to complete, the emotional experience of writing some parts in which my characters go through suffering and pain in the story, those were the hardest parts. Sometimes it was like the characters had their own life and many times they decided the destiny of the story. Sure. Voices from the Walls is a celebration of life over death. A triumph of hope over desperation, forgiveness over pain and the core message is that we should be more tolerant, persistent and loving towards each other. We should learn from the past and co-exist with those who are different from us. Find out more about JC Lara’s debut novel on Amazon and Goodreads. This is so neat that you had the opportunity to interview such a great author. I love your content and your layout. Keep up the great work! !